Synopsis: I didn’t mean to do it. Okay, maybe I meant to do it, but I did it cause we needed the money for my brother. Y’know, cause he has this trach in his neck to help him breathe. And the meds are expensive. Mom thinks I don’t know about the money problems, but I do. Since dad walked out…well, what would you have done? Don’t tell me you wouldn’t, cause I know you’d be lying. I just wanted to help. I just wanted to help. Why I picked it up: The premise of the story intrigued me and I like novels in verse. Why I finished it: It’s somewhat appropriate that this novel was written in verse because it makes the reader and Timothy consider things about the world – most notably the hardships we all go through and the lengths to which we will go to help those who are closest to us. We ponder the kindness of strangers and the feelings of fear and uncertainty. We acknowledge the support of friends who will come to our aid when they see us struggling. Timothy may begin the story feeling like a screw-up, but we see him gradually transform in the year he is keeping a court-ordered journal. While the reader will note that he never really expresses a desire to repent for his crime, we do see him working toward finding solutions that will allow for him to keep his family together. His desire to redeem himself and the difficulties he has with staying out of trouble almost prove more than he can handle, an internal conflict that Timothy struggles with throughout most of the book. I also find that we ‘see’ a different side to the story when the author uses poetry instead of prose. Not only are we really getting inside Timothy’s head, we are given room to form our own opinions and interpretations about whether or not he will or has reformed. The reader can set their own scenes as they read each of the entries over the course of the 52 weeks chronicled in the novel. Holt also asks the reader to consider their own relationships with the people around us, to think about those things for which we will fight and which battles we will choose. It’s a powerful and poignant look at a boy who, although he could be considered a delinquent, is navigating life the only way he knows how. Why I picked it up: I was asked if I wanted to do a review as part of a blog tour and I jumped at the chance. I find that poetry transcends age. 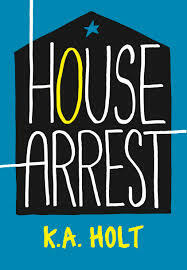 Why I finished it: This is a short picture book that packs a rather surprising punch for the reader. On the surface, the book would appear juvenile, but the messages one can glean from Lime’s poetry are numerous. It takes jabs at the financial crisis, illegal immigration, and even foreign policy, the context of which might go over some readers heads. But I like to think that the reader is capable of doing their own research and forming their own opinions about current events here and around the world. The rhyme scheme and the structure are really quite clever, drawing from a number of classic poems or rhymes in terms of meter that, even if you don’t recognize them, can be appreciated. Each of the sixteen illustrators that contributed to this collection have done a fantastic job of creating simplistic images to accompany each of the surprisingly complex poems. The range of styles and artistic interpretations add additional meaning to Lime’s words, asking the reader to create a more realistic and perhaps contrary image to what is seen on the page. It makes the meaning of the poems more easily digestible to the reader and showcases a wide spectrum of talent that I hope to see in other works. It’s a thought-provoking little volume that can be enjoyed by all ages and used as a starting point for more serious conversations about what we do and what direction in which we are going. Synopsis: Reader beware! Open at your own risk! This collection of poems is hoping to scare. 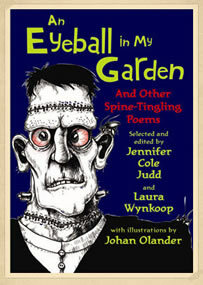 From mummies to spiders to vampires to ghouls, these poems are sure to give goose bumps from forehead to ankle! Why I picked it up: The title and the art reminded me a lot of The Nightmare Before Christmas, and while I am not a huge fan of things that go bump in the night, I can appreciate a good scary story/poem/film. Why I finished it: I don’t know about everyone else, but I don’t see very many collections of poems that deal with Halloween, but this collection is very well written. These poems are just the right amount of creepy to make you nervous about all the little ghosties and ghoulies that haunt our nightmares and hide under our beds. They’re also a little bit whimsical, since horror draws on what it is we fear the most. There’s also some classic creatures like werewolves, witches, Frankenstein’s monster, and Dracula. Olander’s illustrations give the poems an extra edge to them, bringing to life a ghost train, a ghost fish, a kid zombie, and a haunted house. The drawings are in black and white, but I feel like this is part of their charm and what makes them fit so well with this book. I think what I liked most about it was that it was fun without being too over the top on the fear factor. It’s a refreshing look at the things that make us sure to turn on the lights when we enter a room and make sure that we don’t run toward the noise coming from the top of the stairs. Synopsis: In this collection of poems, Nancy Willard presents to the reader a series of favorite poems from everything from newspapers to magazines to other books of poetry designed to show and share the love for and the power of rhythm and language. Why I picked it up: I like traveling and I love a good book to read for the plane or the bus or however I’m getting from here to there. Why I finished it: Though the poems in the book for the large part stand alone in and of themselves, together they take the readers through the journey of a day and a life. While it’s not the kind of book that will take the reader all day to get through, it shares with the reader a snapshot of different places, different people, and the different stages and directions life can take. Willard writes in the introduction that all of the poets in this book, both known and relatively unknown, are making light of it all – it all being this life we are living and sharing with the people closest to us. Poetry and poems carry different meanings for each person that reads it, and while I hope that everyone can find their own meaning in these works, this is what I have taken away from this book: it is inspiring and lovely. Its writers take the reader into their laps and into their rooms and in a few well chosen words tell the reader a story that will teach us lessons that we cannot take away from reading a work of prose. So many of these poems struck a chord with me, and I will collect them together with others I have saved over the years as a record of my own journey. And I encourage whoever reads this to save and be able to share their own favorites, whether they be poems, books, movies, whatever speaks to or inspires them. Why I picked it up: I like the idea of being able to read the work of an author and then getting the story behind their work. Why I finished it: This book has a little bit of everything. The poems convey the feelings and struggles of teens and young adults that are discovering themselves and the burden of responsibility that comes with growing up. 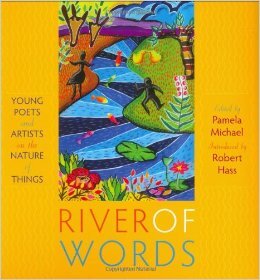 Appelt’s commentary tells the story of how the poems were born and the longing portrayed by the poem’s narrators along with some exercises that will help get the creative juices flowing in young and aspiring poets. She recognizes that poetry has the power to speak to a writer and that there will be lots of bad poems on the way to writing good ones. She conveys just how powerful the right word can be and how we can say something with a poem that demonstrates who the author is and who they hope to become. It’s a wonderful resource for those of us who are looking to hone our writing craft. 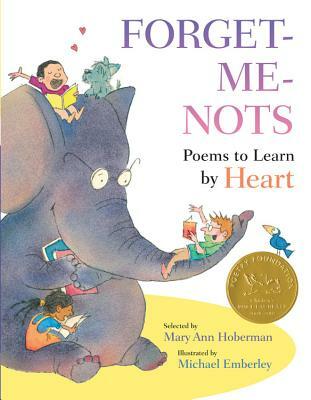 Why I picked it up: Mary Ann Hoberman is a former Children’s Poet Laureate and she has such a well-received body of work that I felt obliged to check it out. Why I finished it: This anthology is full of poetry that ranges from short rhymes to longer ballads and everything in between. It’s filled with original works, works that are found in multiple other collections, and works that are found in some favorite children’s books. My favorites were the poems about food and the poems about the weather. 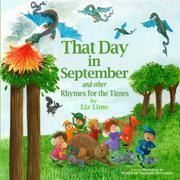 Emberley’s illustrations are whimsical and child-like, capturing the magic that poems perform for the reader. 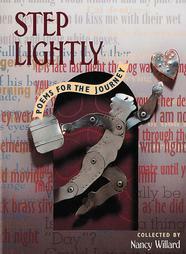 The art is bright, colorful, and lively, adding another level of interpretation to the poetry that it accompanies. The book encourages a love of poetry and a love of learning poetry, much in the same way that Caroline Kennedy’s collection Poems to Learn by Heart shows the reader the power of words. So memorize a poem that speaks to you, learn how it flows, study its structure, and make it a part of yourself that you can save and share. Why I picked it up: The anthology reminded me of the literary anthologies that my college would put out every year and I love celebrating the work of young writers. 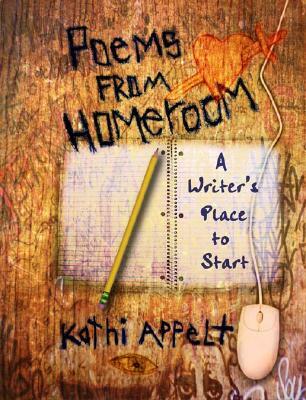 Why I finished it: This collection is an amazing showcase of the potential of young writers and artists. The selected works describe life in many different corners of the United States and the rest of the world and the true beauty that comes from nature, should we be still long enough to appreciate it. Poetry is so rich and so deep because the poet is describing for the reader a scene or a moment in time with only a few choice words, and these collected poems are no different. Some are sparse and minimalist in their descriptions, others are crafted with a deeper meaning embedded between stanzas. And the topics are just as diverse as the forms. True, they all deal with nature in some way, shape or form, but it is how the poet or artist sees nature that creates a whole new way of looking at creeks and streams, skipping rocks and fishing, taking a dip or dipping in clothing to wash. The images created by the poems are just as powerful as the pictures that were selected to become part of the collection: There are simple crayon and colored pencil drawings as well as more complicated chalk, watercolor, and folk art. What spoke to me the most about this collection is that it was produced by aspiring poets and artists, who were given the chance to contribute to something much bigger than themselves and invite the reader to explore the nature around them where they live. For more information, check out the website here.